I do love this time of year. The colours outside are so incredibly beautiful, it’s sometimes hard to believe that they come from nature and not a painter’s palette. On my morning walk to the station my path is carpeted with russet leaves and the tree outside my office window has slowly turned through greens, golds and reds over the past few weeks. We’ve been blessed with blue skies and bright sunshine on some days and seen darkening grey clouds and rain on others. It’s been a glorious autumn. 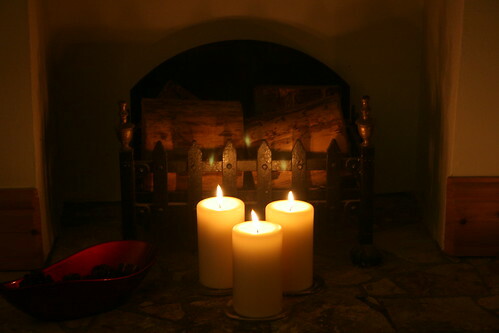 As the nights draw in I like the gradual retreat back indoors, the closing of the curtains, the pulling out of the blankets and the lighting of the candles. 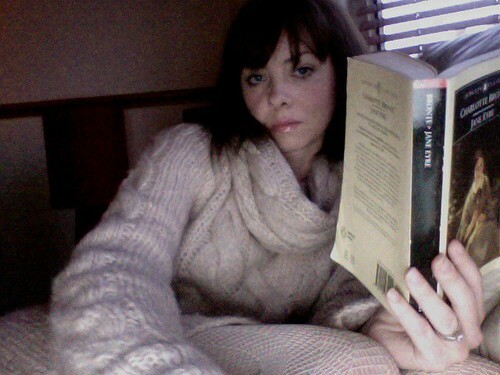 It’s time to snuggle up in oversized jumpers and read classic books. And I’ve started one of my favourite autumn and winter hobbies: jigsaws. I can lose hours on a Sunday afternoon pondering over the pieces as the rain hits the window. 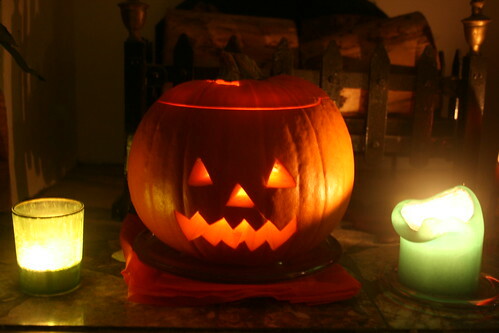 The festivities of Halloween and Bonfire night bring fun for children young and old. Little witches and ghouls cry “trick or treat?” as carved pumpkins glow in the dark night, and cold, pink faces light up by the glow of the bonfire as electric fireworks explode in the sky. I’m baking potatoes and I’m caramalising onions, pot roasting game birds and stewing beef. I’ve made pear and blackberry tarts and baked apples stuffed with brown sugar and sultanas. I don’t think I want this autumn to end. 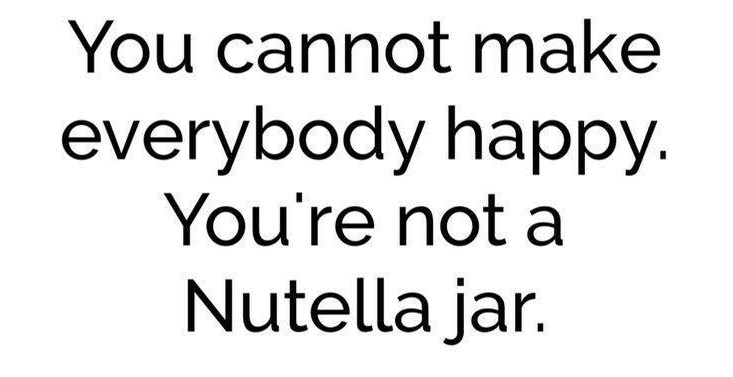 I hope it doesn't end either. Oh Autumn is truly my favourite season (especially now, in the lead up to Christmas!). 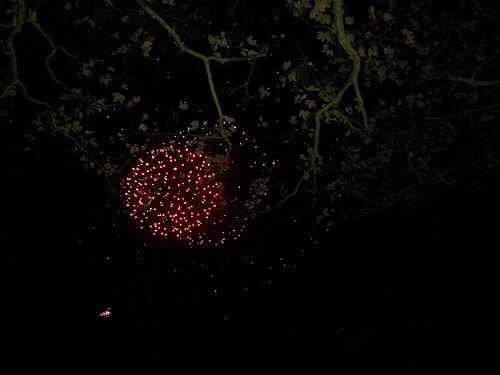 I'm very impressed by that firework pic too – it's so crisp! I took one look out of the window on Sunday – one look at the piles of jigsaws on top of the bookcase -and thought – it's that time of year ! And settled down to happy hours of tapping pieces in place. I get teased mercilessly for loving this 'uncool' activity. So am always glad to come across other 'cool' people who have the same bug ! Can't believe you have time to curl up with a book. By the time I've cooked and blogged, I never seem to read anymore. What a warm, cozy and inviting post. Now I feel like lighting a fire, sipping some fine wine with gentle music in the background. Your descriptions of autumn leave me longing for such an ambiance. Still sunny here in Tucson. Still in the 80s. No rain. No leaves. But, lots of candle lighting and definitely time for feasting! I recognise the gestures – retreat indoors, closing of the curtains, the pulling out of the blankets and the lighting of the candles – it's the time of the year to get inside ourselves, make balances, aim new objectives – a truly magical season. Molly – I've definitely mastered cosy! Hey Jefferson's Table – good to hear from you, as always. Alex – I can't take credit for that pic, someone who was with me took it! Kavey – it was a self-portrait snapshot taken from my laptop! Sally – yay, someone else who loves jigsaws! Janice – I must admit, these days it's snatched time, but every minute with a book is wonderful. Mary – thanks, hope you're having a great weekend. AppleC – that sounds fabulous. 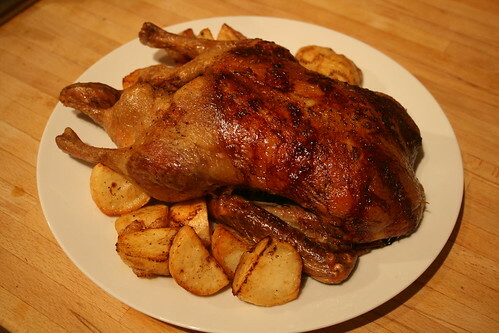 that looks like a gorgeously roasted bird, with homely sauteed potatoes. what i'll give for a taste of those! Your sweater look so comfy!